The new Harry Gow premises in Elgin will provide at least 15 jobs in the area. An Inverness-based bakery is to create new jobs in Moray next month when it opens its first store outside the Highlands. 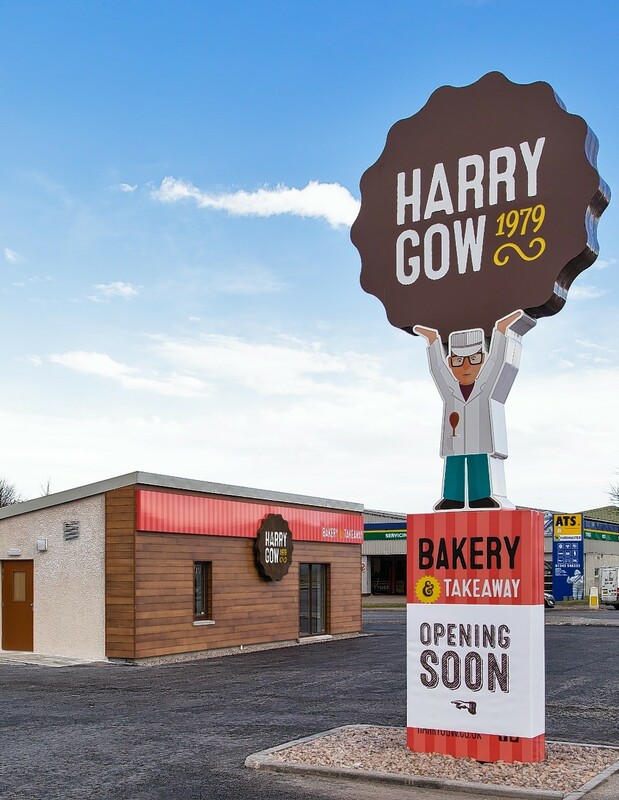 The Harry Gow chain is opening a shop along the A96 just off the Roundabout on Moycroft road in Elgin in early March. The company is looking to fill about 15 full and part-time vacancies. Company director Fraser Gow said the family firm was looking forward to taking its range of cakes and snacks to a wider audience. He said: “It’s our first shop outwith the Highlands so we are keen to let people in Moray know what we are all about. “We’re very excited about it, and the location is of great convenience for us and customers. 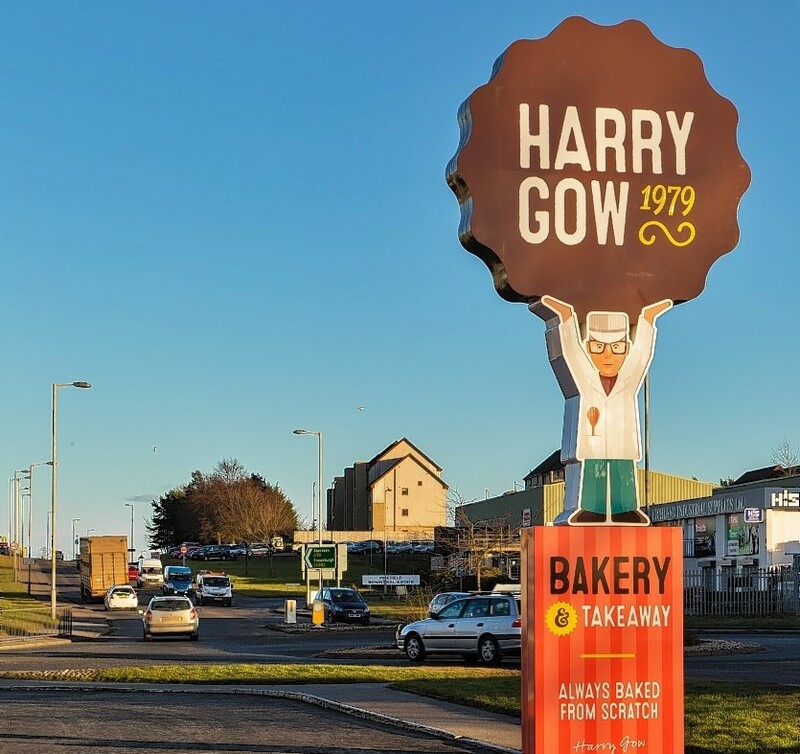 The figure that can now be spotted holding aloft an oversized fine piece along the A96 is a representation of founder Harry Gow. His sons David and Fraser and daughters Sara and Jane are all directors with the company. The bakery’s lineage stretches back as far as 1898, when Harry Gow’s mentors John and William Burnett opened a store in Inverness. Over the years the bakery has sculpted a cake in the shape of a grand piano for a guest at Madonna’s Highland wedding, rumoured to be Sting, and in 2012 won the Scottish Baker of the Year award. Elgin City North councillor Kirsty Reid said: “Any opportunity for bringing work into the area is to be welcomed, and it’s nice to have places opening at that end of the town. “I might pop in myself, and my husband has already said he can’t wait to visit too.